Automotive Salvage :: Welcome to QRP!. Salvage Solutions by . Welcome to the Salvage Solutions program independently owned and operated. Not affiliated with any Quality Replacement Parts recyclers group. No sales fee, no requirement to accept the high bid. YOU maintain control over your salvage. 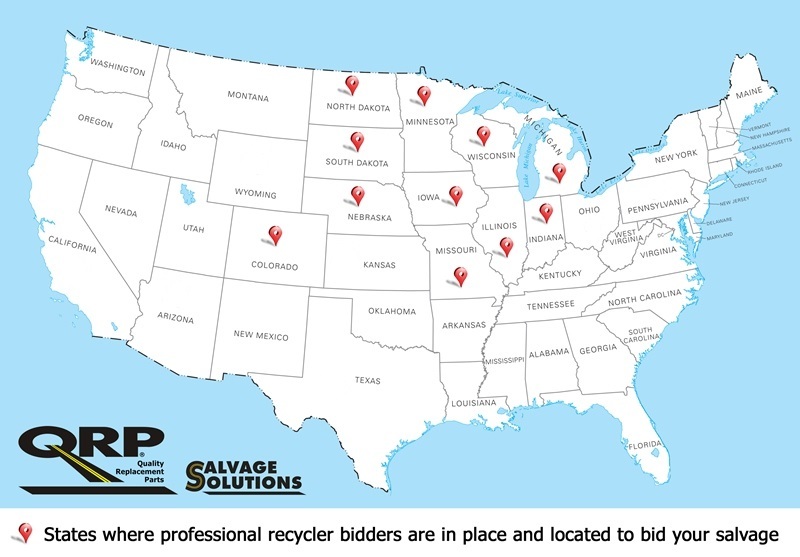 Contact us to learn more and to allow us to demonstrate the program to you whether you are a potential seller or a licensed professional recycler interested in becoming a bidder on the QRP Salvage Solutions program.